In spite of doubts and disbelief in climate change voiced by the United States’ President Donald Trump, the US Department of Energy has granted $22 million to research projects venturing on the development of a relatively new and uncommon biofuel source – the seaweed, also preferably called macroalgae. 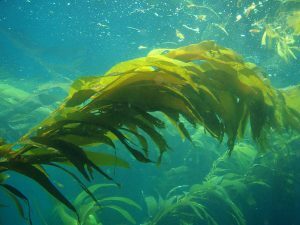 Using seaweeds as biofuel source allows the avoidance of the use of food crops and other land-based crops, and thus prevent food and land shortage. The country’s offshore resources could sustain as much as 10% of current transportation fuel demand, according to the Department of Energy. Although growing and harvesting of seaweeds are not that easy, accompanied by technological challenges, the Department of Energy is very keen on establishing improvements and engineering in farm design and autonomous operation to increase productivity. This is the main objective of the department’s program called MARINER or Macroalgae Research Inspiring Novel Energy Resources. The MARINER is comprised of 18 projects that encompass research thrusts in autonomous systems, computer modeling, renewable energy, and genetic engineering. One of these is the $500,000-project on “novel and robust seaweed growth system,” which aims to avoid weather hazards and marine traffic. Another $500,000 was granted to develop “semi-autonomous” fields for Sargassum mats, which will be using remote-controlled tugboats fueled by wave energy. The tugboats are used to transfer the mats from one point to another in order to maximize consumption of nutrients.